As a sports chiropractor, it’s not uncommon to treat individuals who are attempting to overcome or better deal with an injury and its subsequent pain. However, as Stuart E. Yoss, DC, CCSP, ART, the official Team Chiropractor for the Chicago Bulls and the Blackhawks has experienced, sometimes this treatment can become even more complex if other issues are present. Issues such as an opiate addiction. “I had a patient who said she went to one doctor and he stopped giving her an opioid, so she left that doctor and asked me for another,” shares Yoss. Wanting to help her receive proper care, Yoss referred his patient to a second doctor, who wouldn’t prescribe her an opiate either. “When she asked for a third doctor, I realized I had an issue and we had to deal with it,” says Yoss. Just how big is this problem for athletes specifically? Yoss shares that roughly 75 percent of his patients are athletes, or individuals who “work out regularly.” Of this demographic, Yoss believes that only a small percentage have engaged in any type of opiate use and, even then, only in limited circumstances, such as when they’re prescribed these drugs for a week or two post-surgery. Though there is limited research on this topic, many of the studies conducted in this area agree. For instance, one article published in the journal Pediatrics in July of 2016 looked at 191,682 adolescents and found that their usage of nonmedical prescription opiates was lower if they were an athlete. Their rate of use of heroin, an illegal opiate, was lower as well. 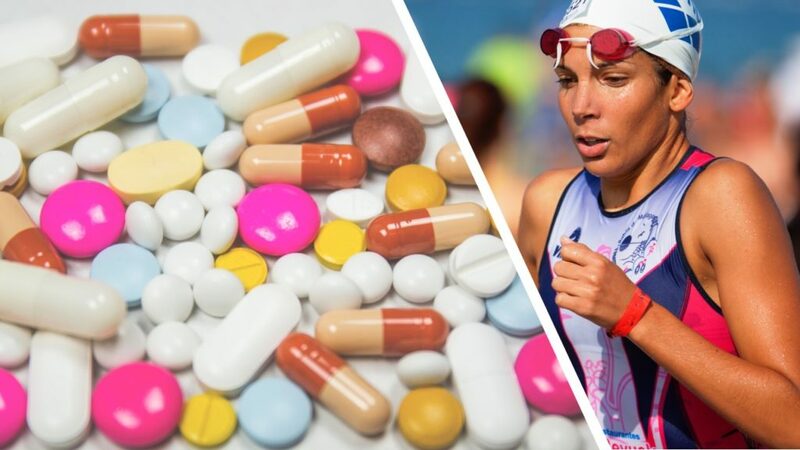 This led the researchers to conclude that “daily participation in sports and exercise may serve as a protective factor” with regard to this class of drugs. Yoss believes that it helps that, if the athlete is involved in the pros, they have access to higher levels of care and more treatment modalities beyond prescription drugs. So, what can you as a DC do to help keep these numbers as low as possible for athletes of all ages? There are four options to consider. The first thing you can do to help lower opiate use among athletes is to educate them about the effects of this particular class of drugs. One of the most surprising is, as the Centers for Disease Control and Prevention (CDC) points out, is actually an “increased sensitivity to pain.” Other effects include constipation, nausea, confusion, and depression—all factors that can make it harder to be their best on the court, field, or rink. Opioid use and abuse can also lead to increased itching and sweating, two factors that can affect performance if they distract a player or cause him or her to dehydrate. A slower reaction time, reduced mental clarity, and the inability to make quick decisions are also potential outcomes of opioid use during sports, says Yoss. You can watch their actions too. “Because in our profession you tend to develop relationships with patients, you can sometimes see behavior changes,” Yoss says, adding that this isn’t always an option though because of the limited time spent with them in your office. Physical signs such as constricted pupils, slower breathing, and noticeable drowsiness. Social changes, like suddenly withdrawing or keeping to themselves. Financial issues where none existed before. Depending on all of the issues at hand and the severity of the addiction, these steps may involve engaging in treatment in your chiropractic office, working with their primary care doctor, or connecting with their therapist to create a comprehensive treatment plan. “The biggest part is first addressing the problem to begin with,” says Yoss, who adds that this can either work for or against you. “Sometimes they appreciate it and they trust you,” he says, “or they could be offended.” Either way, you still need to share your concerns. Because opiate use appears to be relatively low among athletes, Yoss shares, “My biggest concern is for the retired athletes. While they’re playing, their mentality is to do anything necessary to get on the field. They abuse their body because they know they have a limited time to play.” However, once they’re done and no longer have access to high quality care, opiate use and abuse have a greater opportunity to set in, says Yoss. Fortunately, there are a few programs available for veteran athletes in various sports, helping them avoid or overcome these types of issues. For instance, the Gridiron Greats is a fund that provides financial grants and medical assistance to “NFL players in dire need.” There’s also a group for retired NHL athletes called BreakAway and it offers services related to addiction counseling, emergency financial assistance, and more.